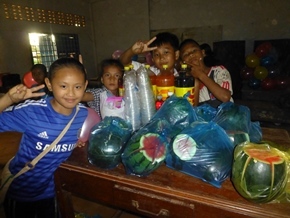 All donations to CHAB are made through our NGO in Cambodia. 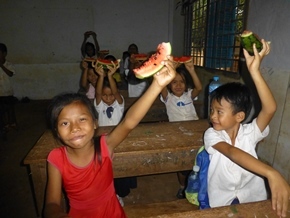 Your donation will support CHAB in Cambodia. Donate and help us spread the word to your friends, families, etc. 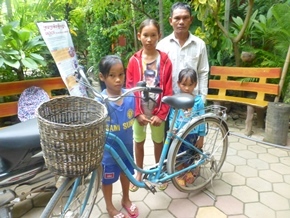 so we can help MORE children in Cambodia. If you send by Western or CHAB's bank account, it would be deducted or withdrew for service of bank. We have no foundation registration in oversea. You could send your fund directly to CHAB's bank account or Western Union bank. Before you send, you can email us at: info@humanitycambodia.org or call: +855 (0) 92 688 508. We will send receipts and budged expenses to all other international donors. If you are still not clear, please contact us. 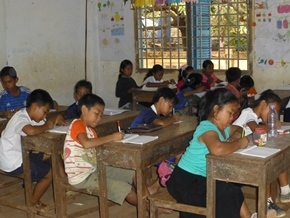 We are supporting education to poor children of impoverished families, abandoned children from rural villages. If you want to make donation for our project like clothes, school materials, scholarship students, shelters, accommodations and centers for community education for orphan children in local villages, we can advise you how to support. You can make a difference today! Give what you can to those that need it most - every bit helps! All funds donated to CHAB will be used in one of our many project locations to help only the poorest of the poor. Wire Transfer is the cheapest way for service charge, so for big amount of money, we recommend you to donation or send through wire transfer in order to save the surcharge of money transferring. Click the link below if you give donation by online. The online donation make you save time and is easiest for you to give donation to support all vulnerable young kids at CHAB school. Sending fund to CHAB account is safety. Efficiency transferring to receiver (CHAB organization). It is easy for you to use the Western Union Money Transfer service worldwide. Each transfer can be tracked using a Money Transfer Control Number (MTCN), ensuring that your money is available to be paid out quickly to your receiver. Details of your address (that you provided to Western Union). We will check with Western Union while we receive your money transfer information and give you confirmation as soon as possible. 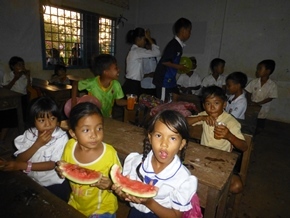 If you need further information, contact us: info@humanitycambodia.org/ Tel: +855 (0) 92 688 508/ 98 997747.